The key criteria for determining where massive black holes formed during the universe’s infancy relates to the rapid growth of pre-galactic gas clouds that are the forerunners of all present-day galaxies, meaning that most supermassive black holes have a common origin forming in this newly discovered scenario, said John Wise, an associate professor in the Center for Relativistic Astrophysics in Georgia Tech’s School of Physics and the paper’s corresponding author. Dark matter collapses into halos that are the gravitational glue for all galaxies. Early rapid growth of these halos prevented the formation of stars that would have competed with black holes for gaseous matter flowing into the area. When the research team found these black hole formation sites in the simulation they were at first stumped, said John Regan, research fellow in the Centre for Astrophysics and Relativity in Dublin City University. The previously accepted paradigm was that massive black holes could only form when exposed to high levels of nearby radiation. The research was based on the Renaissance Simulation suite, a 70-terabyte data set created on the Blue Waters supercomputer between 2011 and 2014 to help scientists understand how the universe evolved during its early years. To learn more about specific regions where massive black holes were likely to develop, the researchers examined the simulation data and found ten specific dark matter halos that should have formed stars given their masses but only contained a dense gas cloud. Using the Stampede2 supercomputer, they then re-simulated two of those halos – each about 2,400 light-years across – at much higher resolution to understand details of what was happening in them 270 million years after the Big Bang. Future work with these simulations will look at the lifecycle of these massive black hole formation galaxies, studying the formation, growth and evolution of the first massive black holes across time. “Our next goal is to probe the further evolution of these exotic objects. Where are these black holes today? Can we detect evidence of them in the local Universe or with gravitational waves?” Regan asked. Michigan State University (MSU) is a public research university located in East Lansing, Michigan, United States. 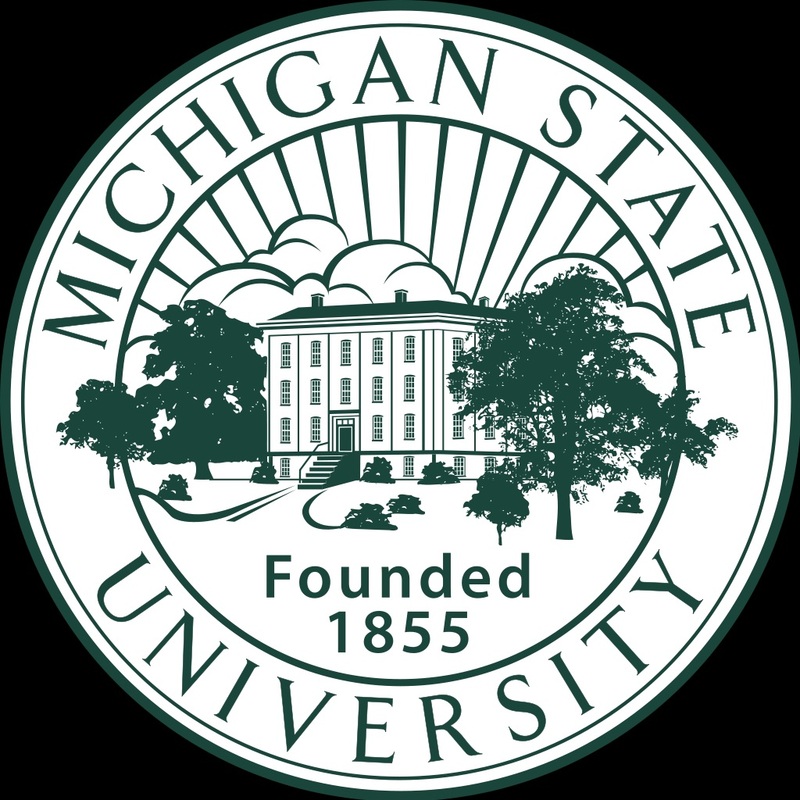 MSU was founded in 1855 and became the nation’s first land-grant institution under the Morrill Act of 1862, serving as a model for future land-grant universities. MSU pioneered the studies of packaging, hospitality business, plant biology, supply chain management, and telecommunication. 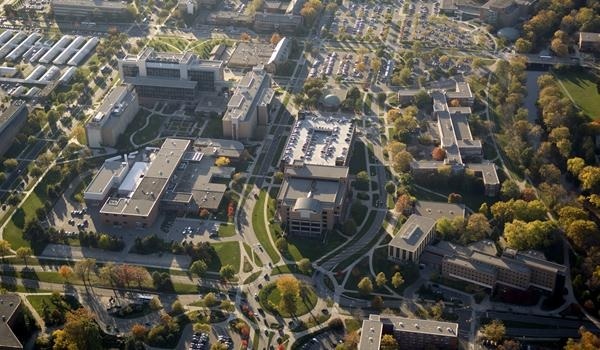 U.S. News & World Report ranks several MSU graduate programs in the nation’s top 10, including industrial and organizational psychology, osteopathic medicine, and veterinary medicine, and identifies its graduate programs in elementary education, secondary education, and nuclear physics as the best in the country. MSU has been labeled one of the “Public Ivies,” a publicly funded university considered as providing a quality of education comparable to those of the Ivy League. Following the introduction of the Morrill Act, the college became coeducational and expanded its curriculum beyond agriculture. Today, MSU is the seventh-largest university in the United States (in terms of enrollment), with over 49,000 students and 2,950 faculty members. There are approximately 532,000 living MSU alumni worldwide.